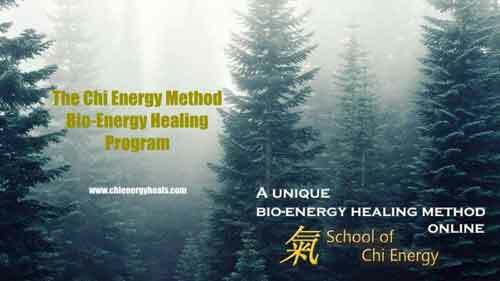 The School of Chi Energy Guarantees new students may try our services and have a complete money back 30 day guarantee to see if this bio-energy method will work for them. If you intend to return at a later time, you only need to cancel your subscription without a refund. When you do re-enroll your prior monthly classes and your new month of classes will open for access. If after the first 30 days of school access, the student isn’t convinced on how well we can instruct them in reaching a higher level in energy work, we will refund their Y1\M1 $97.00 month’s tuition payment. This refund offer applies only to Year One\Month One $97.00 enrollment students who cancel before the next tuition Y1\M2 payment. This refund does not apply to students in Year Two, Year Three or Year Four of Chi Energy Training. This refund does not apply to the Accelerated 12 week Chi Energy tuition programs (this includes the Accelerated Three Month and Year One Programs) or full Y2, Y3, Y4 advanced tuition or private training payments. Please contact the School of Chi Energy Instructors for the policy concerning any of the year one accelerated programs. Please set a reminder in your calendar that you enrolled on a particular day of the month and to pause or cancel no later than a day before your monthly start date payment. For Newly Enrolled Y1\M1 Chi Healer Students: Students who have a PayPal account are able to cancel their own PayPal School tuition subscription payments at anytime with PayPal without having to contact the School first (no questions asked). Upon request we will refund your Year One\Month One Tuition $97.00 payment. Please contact us chienergyheals@gmail.com no later than 24 hours before your enrollment start date for the next payment. Students who cancel with refund will not be allowed re-enroll into the School. For Newly Enrolled Y1\M1 Chi Healer Students: If you have enrolled without a PayPal account, you have only to call (919) 771-7800 or email us chienergyheals@gmail.com and we’ll cancel your reoccurring Chi Energy Tuition. Upon request we will refund your Year One\Month One Tuition $97.00 payment. Please contact us chienergyheals@gmail.com no later than 24 hours before your enrollment start date for the next payment. Students who cancel with refund will not be allowed re-enroll into the School. If you are pausing and intend to return at a later time, you only need to cancel your subscription without a Y1\M1 $97.00 refund. When you do re-enroll your prior monthly classes and your new month of classes will open for access. Please contact the Sifus’ if you are pausing your training when in Year Two and Beyond. You need only to cancel your subscription with PayPal (as shown in the instructions above) or email us at the Help Desk before your next tuition payment. Upon re-enroll your prior monthly classes and your new month of classes will open for access. If you are cancelling, please follow the instructions above. The School of Chi Energy reserves the right to remove any student, whom is not using the information provided by our school in what a School Instructor would consider a responsible manner. Due to the proprietary nature of the topics being taught, students will not be entitled to receive any refunds of tuition during the second, third and fourth years of Chi Energy Training.